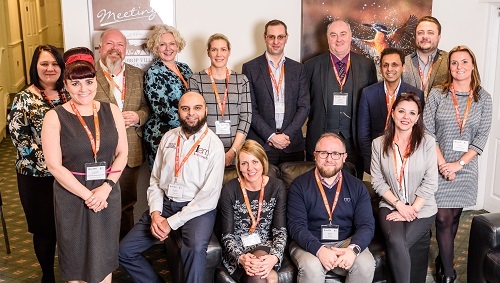 The judging panel members for the 2019 E3 Business Awards have been named. The E3 Business Awards are now open to nominations from companies, entrepreneurs and social enterprises across the North West. The nomination deadline is 24th April. The judging process will entail an examination of the initial written submissions, followed by interviews with the shortlisted nominees. These will take place between 11th and 13th June 2019 at the Last drop Village & Spa Hotel in Bolton. The winners will be announced at the E3 Awards evening itself, which will take place on Thursday 11th July at the University of Bolton Stadium (previously known as Macron Stadium) in Bolton. Speaking on 27th March, at the end of a specially organised judges’ training day, 1EM managing director, Mubarak Chati said: “It’s clear from meeting the 2019 panel that we have a very committed and enthusiastic collection of judges; experienced professionals who really understand the E3 ethos and recognise that the Awards are fundamentally about people and about inclusion. Nominations for the 2019 E3 Business Awards can be submitted by clicking here.